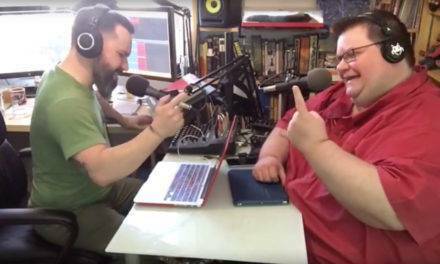 Welcome to Episode 188 of the Two-Headed Nerd Comic Book Podcast! This week, we discuss the cast announcement for Warner Brothers’ Suicide Squad film, Krysten Ritter as Jessica Jones and other Marvel casting news, and the comic book returned Bill & Ted. Plus, we go Inside the Comic Studio with The Crippler’s Son creator Max Riffner! CLICK HERE TO BUY THE CRIPPLER’S SON! Our theme music is A Better Tomorrow by Dan the Automator. Other music found in this week’s episode was provided by the following sources: Big News Theme — Big News II by Clutch, Ludicrous Speed Round Theme — Fury of the Storm by Dragonforce featuring Dark Helmet, Inside the Comic Studio Theme — suite from Inside the Actor’s Studio by Angelo Badalamenti, God Gave Rock ‘N’ Roll to You Too by Kiss, Let Down by Radiohead, Snake Shake by John Carpenter, Girls and Boys by Blur, Captain Lou by NRBQ, Luck of Lucien by A Tribe Called Quest, and other fine songs that are copyright/trademark their respective artists/owners, but didn’t get listed because Matt is still editing as I type these notes. THN 62: Post-C2E2 Super Spectacular! Two-Headed Nerd 171: San Diego Comic-Con 2014 Special!